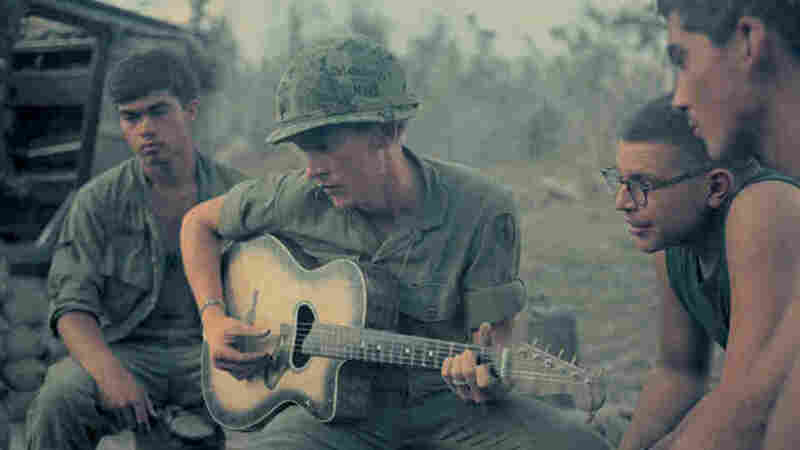 'Next Stop Is Vietnam': A War In Song The history of the Vietnam War has been told many times in hundreds of books, movies and plays. 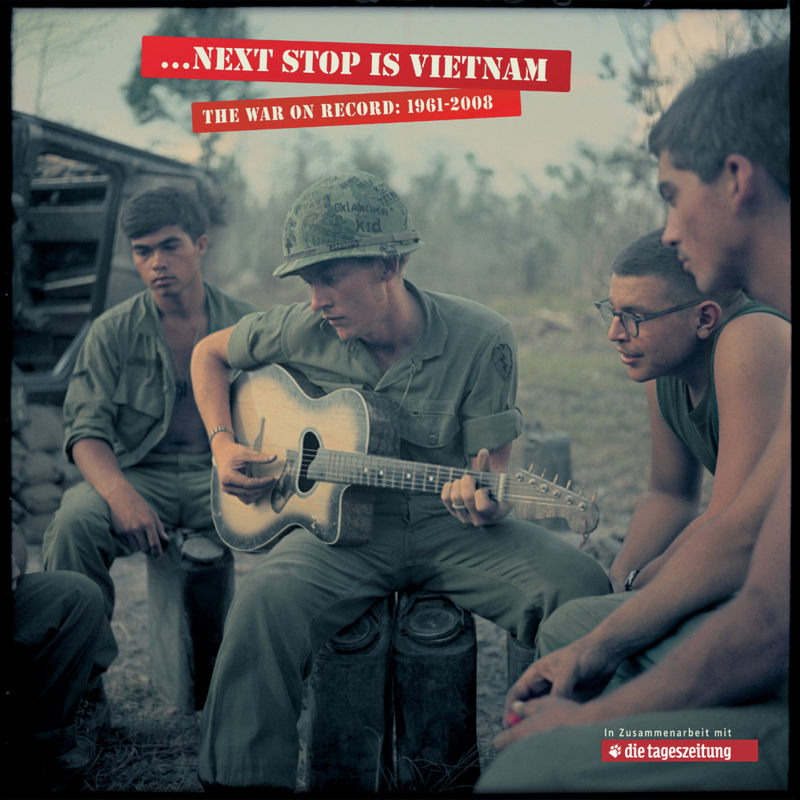 But a new 13-CD box set called Next Stop Is Vietnam explores the impact of that conflict through the popular music it inspired. More than 330 titles are spread across 13 discs for Next Stop Is Vietnam, an ambitious anthology of music inspired by the Vietnam War. Pete Seeger On His Song, "Where Have All The Flowers Gone?" The history of the Vietnam War has been told many times in hundreds of books, movies and plays. But Next Stop Is Vietnam explores the impact of that conflict through the popular music it inspired. In 1969, Gary Hall was an orthopedic technician at the 17th Field Hospital in An Khe, in Vietnam's Central Highlands. He saw what seemed to be an endless stream of wounded and dead, and Hall says music took him away, at least temporarily. "In An Khe, the popular song was 'Love One Another' [by] The Youngbloods," Hall says. " 'Come on people now, smile on each other, everybody get together, gonna love one another right now.' That's the one I remember really strongly." But if you ask a lot of veterans, the song that captures their feelings about Vietnam is "We Gotta Get Out of This Place," a 1960s pop hit by The Animals, which was really about young people trapped in a British urban slum. There are more than 300 songs on a new 13-CD box set titled Next Stop Is Vietnam. They range from a folk ballad released just before U.S. troops landed to a 2008 song about the aftereffects that veterans still suffer. Hugo Keesing put the collection together. It's a project he's worked on since the early 1970s, when he taught psychology courses to U.S. troops a few hundred miles up the coast from Saigon. "By the mid-1980s, I had collected about 500 45s that dealt with the Vietnam War," Keesing says. The first Vietnam War protest song to become a commercial hit was a three-and-a half-minute rant by Barry McGuire. "Eve of Destruction" was banned by many radio stations and the entire Armed Forces Network. "The perceived impact was such that, within several weeks, there was already the first 'answer record' -- 'Dawn of Correction' -- where a very clean-cut group of young men, who included members of Danny and the Juniors, decided that it was important to refute, point-by-point, some of the claims made in 'Eve of Destruction,' " Keesing says. Perhaps the first song to explicitly support the growing military effort in Vietnam was "Ballad of the Green Berets," co-written by an Army soldier who recorded the demo version in a Saigon safe house in the mid-1960s. Staff Sgt. Barry Sadler was a member of the U.S. Army's elite Special Forces unit, identified by their green berets, when his commercial recording of the song went to the top of the charts. Art McKoy says the members of his platoon were impressed when they first heard the song. "We always admired those guys, because they went way up in the hills and the valleys and did a hell of some stuff," McKoy says. "And, in our hearts, even though we weren't that courageous to be Green Berets, when we heard that song, we all wanted to be like Green Berets." But when McKoy got back home to Cleveland, another Vietnam song caught his ear: "War." It was by a local singer named Charles Hatcher, better known as Edwin Starr. "The fact of the matter is we went with nothing, we lost our lives, and we came back, we really had nothing," McKoy says. "If you ask me, that was one of the great battle cries. I think it's relevant right today." A number of soldiers recorded their own songs while serving in-country, and an entire disc on the new set is devoted to them. One is "Battle Hymn of the Republic of Vietnam," a take on the daily news briefings conducted by the U.S. government press office in Saigon, recorded by -- perhaps with good reason -- an unidentified military staffer. One of the best known songs of the era is another darkly humorous ditty by Country Joe and the Fish about soldiers marching off to war, titled "I-Feel-Like-I'm-Fixin'-to-Die Rag." "By the early '70s, as troops were arriving in Vietnam, they were singing 'I-Feel-Like-I'm-Fixin'-to-Die Rag,' " Keesing says. "It was an indication, not only of how divided the nation was, but there was almost a gallows humor in singing, 'Whoopee, I'm going to die,' as American troops are coming to Vietnam for the first time." Country Joe McDonald's performance at the 1969 Woodstock festival (audio NSFW) made him famous, but in a 1996 talk at the Rock and Roll Hall of Fame, the Navy veteran expressed conflicted feelings about the legacy of his signature song. "When I sing 'Fixin'-to-Die Rag' for Vietnam veterans, I know what they're feeling and they're thinking," McDonald says. "But when I sing it for a regular audience, I don't know what the hell they're thinking. I don't know if they're draft resistors. I don't know if they paid a price." Former Ohio legislator John Begala was a sophomore at Kent State University in 1970, when four students were killed by National Guard troops called in to quell an anti-war protest. One week later, a new song by Crosby, Stills, Nash and Young, "Ohio," came on the radio. "To this day, I listen to that song and I get pissed off," Begala says. "It tugs on your emotions and your anger -- tugs on your disappointment, and the rage. My god, it takes you right back." But "Ohio" won't be taking listeners of the new box set back. Keesing couldn't get the rights.